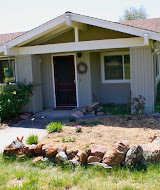 On July 30th, FINALLY, after a few paces in front of the doorway, Flappy takes flight! 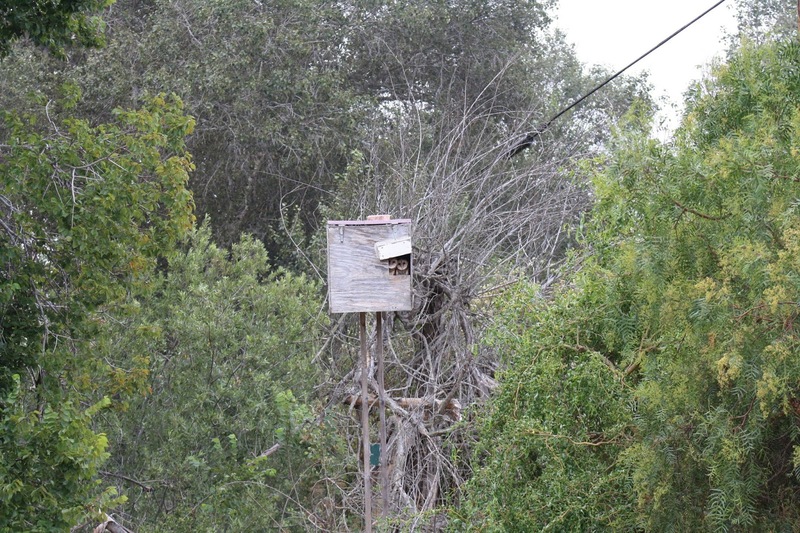 He pushes his body out of the opening and falls, kerplunk, into the willow tree 3 feet away. Flappy's brothers are going nuts from the box. All we can see is a mass of white fluff at the door, screaming and squawking with amazement and glee at their big brother's big life event. 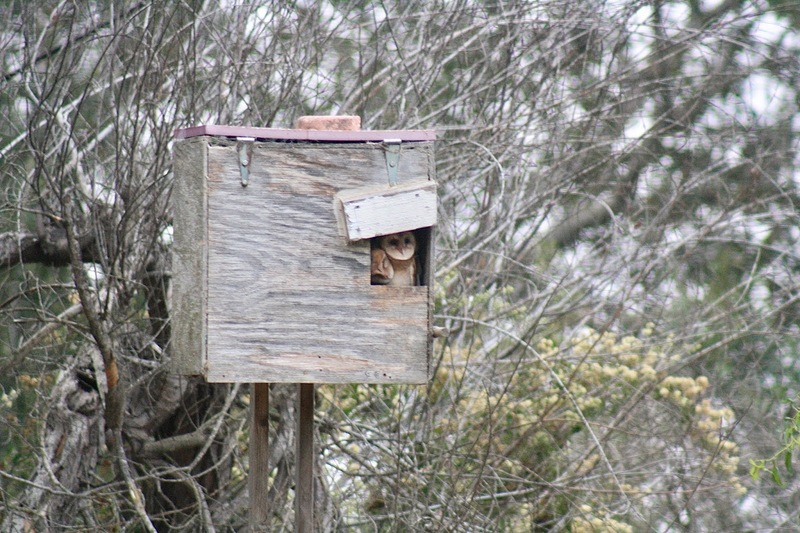 We look to Flappy who is still a little stunned at the reality that he is now OUTSIDE of the box! Finally, Flappy finds his way upright in the willow and climbs to the top of the tree and finally has the freedom for the first time in his little life, to flap his gorgeous, expansive wings. After a few minutes of flapping and resting, he builds up the courage to try to go back to the box. He hesitates, jumps, and gets stuck at the window, not sure how to squeeze his big wings back in through the hole. His buddy Pally is blocking his way and is too excited to realize he needs to move so that Flappy can get in. Instead, he just gives his brother kisses and love pecks while Flappy is hanging on to the side of the box with no where to go. He finally finds the perch and lifts himself up and after that moment of panic, takes a breath. Pally and Squeaky give him kisses from inside the box and continue squealing with so many questions! From the perch, Flappy is still trying to figure out how to get back in and decides to flap back to the willow. He turns around and steadies himself, ready to jump and flap with more confidence. He does two big flaps and this time lifts up and lands on top of the box! Now Flappy is on solid ground AND has space to practice his moves. He dances, jumps, flaps, and looks around at this whole new world. With each jump he lifts his talons higher and higher in the air, jumping back and forth across the box, and bobbing and weaving his head from side to side as if in celebration of this huge achievement. Not sure yet how to slip into the box from the top, Flappy hops back to willow again. Then, after a few minutes gets brave and jumps to the next tree! Then from even further away this time, he attempts another flight back to the box, once again struggling to get in with his siblings in the way! They finally give him space and he crams through the opening...home at last. What a day!!! 8:30pm - Flappy made it back home, and is very tired after his first flight! Reconnecting with my very first friend who got married under the sweet magic of Tahoe pines. Spending night after night on the patio watching and listening our owl family. Surprising my best friend since the third grade and going on a double date. Doing the Braves Tomahawk chop alongside my dad and brother at a real live baseball game. Exploring the many cacti of Scottsdale with my love...and going skydiving! Ellen!!! (And getting caught in the rain was pretty awesome too). Dancing alongside beautiful people who make me feel good about being me. Getting a giant feet-off-the-ground hug from my sweet little brother. When my mom and Aunt Cathy drove across 3 states to bring me Grandma's chairs...and 5 cases of white clams. My heroes. Finding my grandpa on my patio after a long day at work. Jay Leno, pizza by the slice, and ice cream. Watching Buckethead hand out toys to kids. 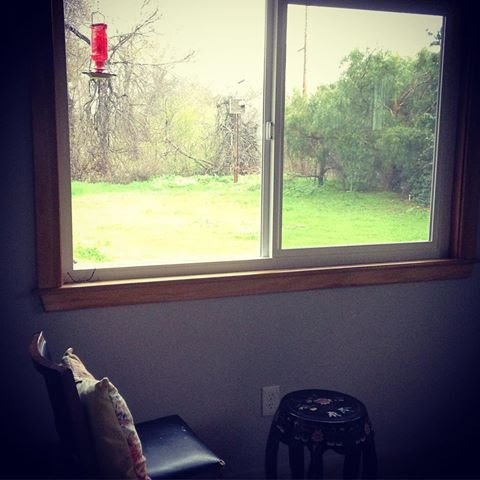 Waking up to crazy hummingbirds every single day. *It's January and they are still here! Riding shotgun in my CEO's classic car. Being cozy in Snoqualmie with my mom. We know how to do it right...avocado toast, waterfalls, rain and coffee, champagne, pizza, hot tubs, beer, shopping. And of course VIP status at Waxahatchee. I played bocce ball twice this year. You guys - I told you I love sportz. Meeting a new friend from SLO... in Chicago! I clocked more hours baking in my kitchen this year than any year since we've lived here. (You can thank my newest addiction, The Great British Baking Show). Okay now go enjoy my video and turn up the volume!!!!! Throughout the rest of July, I set up a photoshoot every morning and evening. Eventually, the owlets got used to me and their initial shyness waned. They remained calm and curious even as I climbed my ladder and snapped an insane number of photos, paparazzi-style. As each day passed, they spent more and more time sitting at the window half-asleep, day-dreaming of their first flight. Steve and I became familiar with each of the owls so we named them. We called the oldest owlet, Flappy, because he was the most eager to fly, and spent the max time planning his first move at the window. 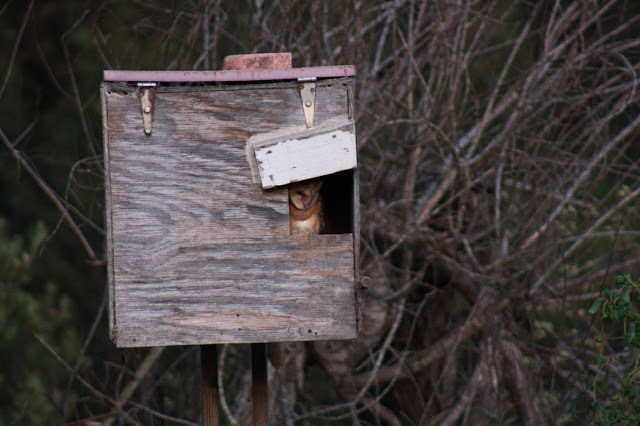 And as we learned a little later, he practiced flapping his wings inside the tiny box to the dismay of his siblings (adult barn owls have a wingspan of up to 3 feet!). And the third one who we rarely saw because his big brothers hogged the view, we called Fluff (which we later changed to Squeaky because his fluffy adolescent feathers went away, but he sure was the squeakiest of the bunch). Day by day, their baby fluff faded, their color turned golden and their faces rounded more into the classic barn-owl heart shape. We knew it would be any day now before their first flight, and we waited patiently. The owlets were eager to meet the world. Please excuse the poor video quality. They became most active at dusk which made it most difficult to film in little daylight. Night after night we heard the squawks and squeals from the box and we knew they were getting fed and growing rapidly. 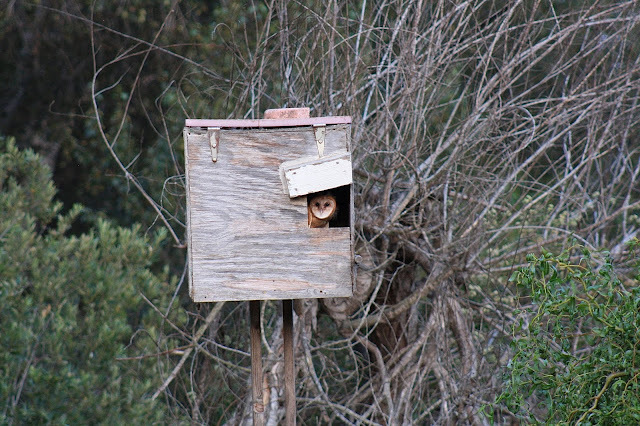 One early morning in July, as I got out of bed, I glanced out our bedroom window and I swear I saw a white blur in the owl box. I rubbed my sleepy eyes and grabbed for my glasses. Yes! There was a creature sitting there! 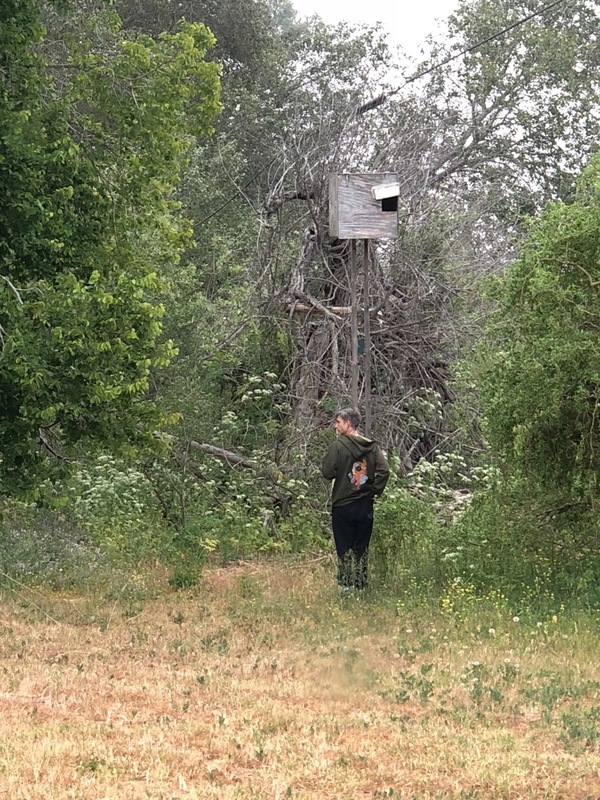 I ran for the binoculars and with great delight, I saw a sweet little furry baby peeking out at me. That evening, Steve and I cozied up on our makeshift bed, waiting to be entertained by our furry friends. And just before dark, the babies made their way back in front of the door, two this time, shy but oh so curious about the vast world beyond their tiny cubed home. 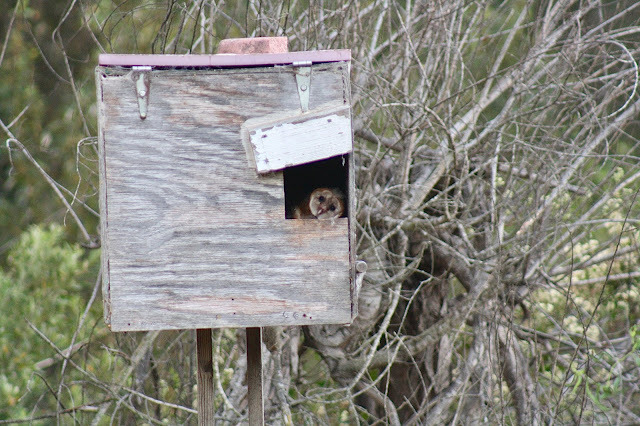 Since the owlets were mostly pink with not many feathers, we knew they still had up to 60 more days of maturing before we'd see them start to fledge. That is if they even survived the rest of the summer heat. 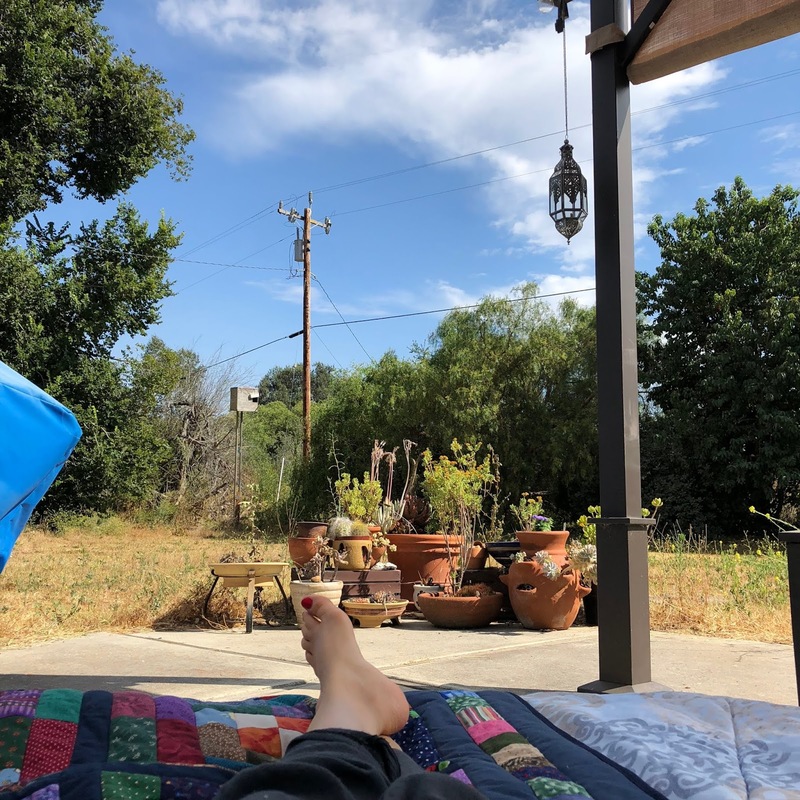 I had the idea to set up an airbed outside so that we could spend our evenings in comfort on the patio as we waited and wished for a moonlit owl flight. Each night, we'd sit quiet and still, waiting for the chirps of the babies to call out for their nightly feast. 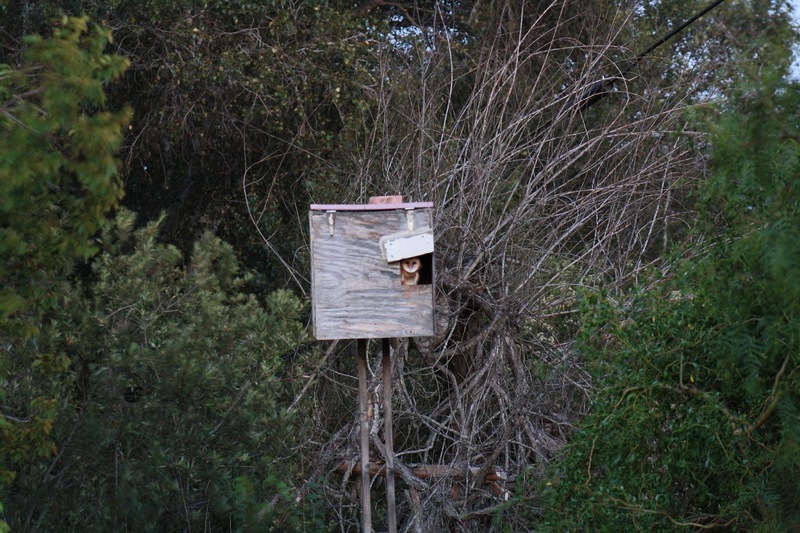 As dusk would fall, we'd see the parents swoop in, circling over the box to let them know food was on the way. The babies would squeal with utter delight at the sounds of their parents nearby. 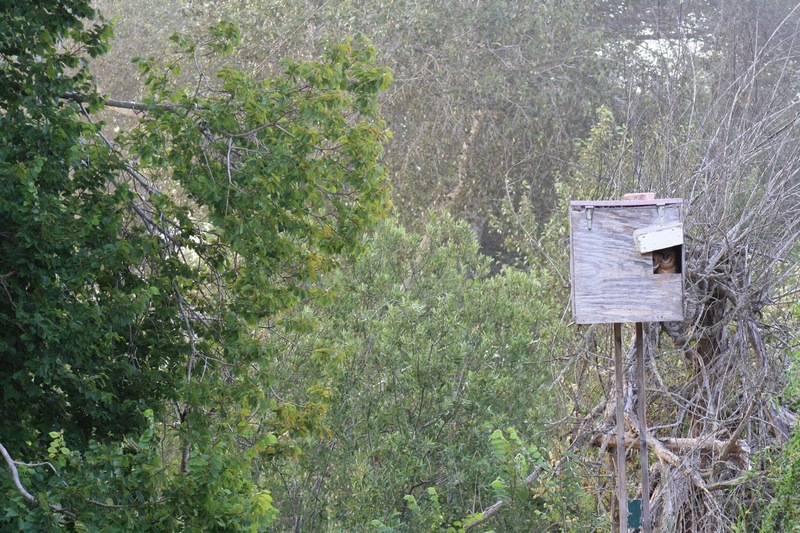 The adults would fly off in search of rats, mice, and rabbits to bring home to their growing kids. Then, just about when it was too dark to see the box, we'd hear SLAP! as dad dropped off the fresh kill, and the babies screamed at the top of their lungs in celebration. 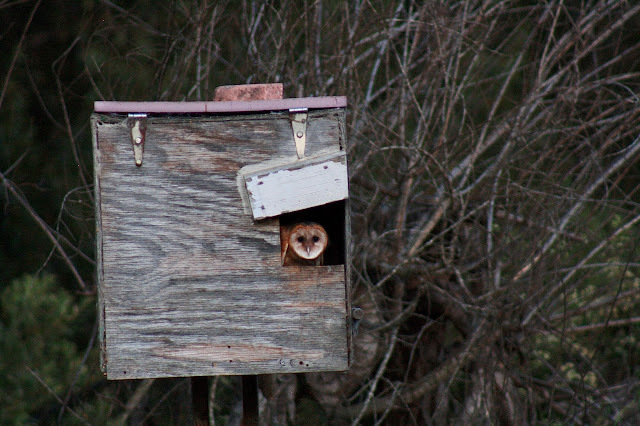 I left you last with the hope of hearing sweet sounds of new baby owlets. 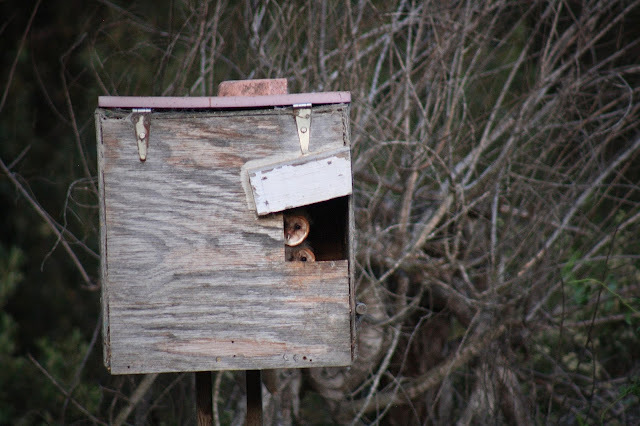 We heard the new couple roosting for about 2 weeks once they moved in. Then, after about 6 weeks, it was pretty silent and we assumed they decided the box wasn't fit for their home, and we were actually pretty mad since they did so much harm to get the box in the first place. Well, it took awhile, but to our delight and surprise, after about 8 weeks we finally heard the subtle chirping of babies in the box, freshly hatched! So once again we listened each night as the chirps became more distinct and loud, and as we perked our ears we also held our breath and crossed our fingers. These little ones would survive. They had to! But, summer was ramping up, and being a little late in the season for owlets, we were worried about their health and well-being under the relentless hot afternoon sun. With temperatures reaching 100 degrees, Steve took action and bought some insulation to install on top of the box. We waited until mom left the box on her first evening flight and we knew we had to move quickly before she came back. We hoisted the ladder up and the moment Steve took one step up the ladder, both mom and dad were right over our heads yelling out, super mad that we were near their kids. Steve looked inside the box and saw 5 babies huddled together in one giant ball of pink. I could hear them hissing at him as he peered inside. I frantically told him to hurry up so we could get out of there before we pissed off the parents too bad. He finished the job and we ran back, just before mama scratched our eyes out. 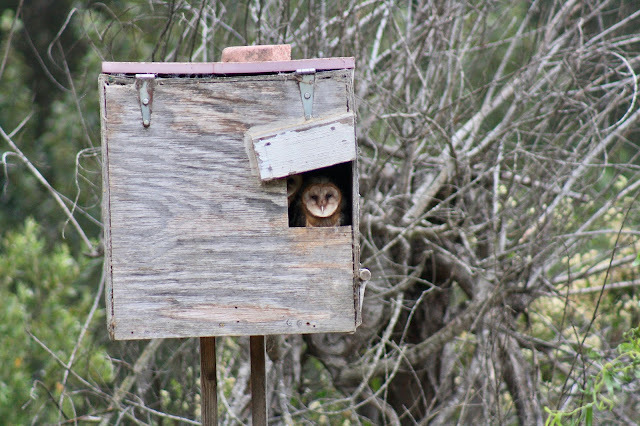 Meet Owly, our beloved first ever Dwight Ranch barn owl resident who gave us many nights of pure wonderment and joy. She sat on her eggs with persistence and commitment, and waited patiently by the door for her love to bring food to their new baby owlets. She screeched, calling out when they were hungry, and danced in the air with her mate when she needed a break from feeding. Her partner was steady, beeping in each night, indicating he had treats to deliver. 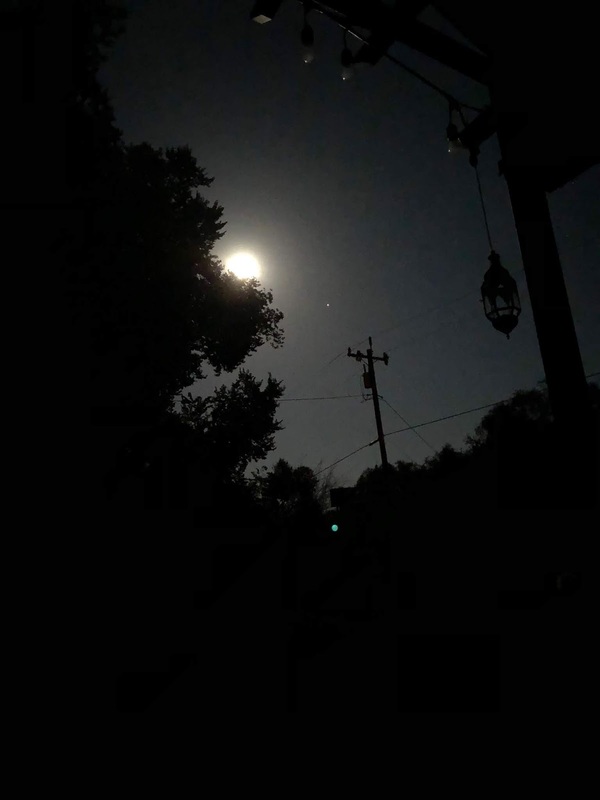 Back and forth all night with lovely calls to his family that he was nearby and working hard to provide. We miss our dear Owly and her family. They had no choice but to find another home. After one night filled with multiple feeding frenzies (we could hear the chicks get excited every time food was dropped off), Steve noticed something wasn't right. Sounds of wings slapping the box, aggressive squeals and squaks filled the air...not the usual beeps and chirps that we grew fond of. The next night, no baby feeding noises - just long, sorrowful calls from Owly, over and over, all night long. 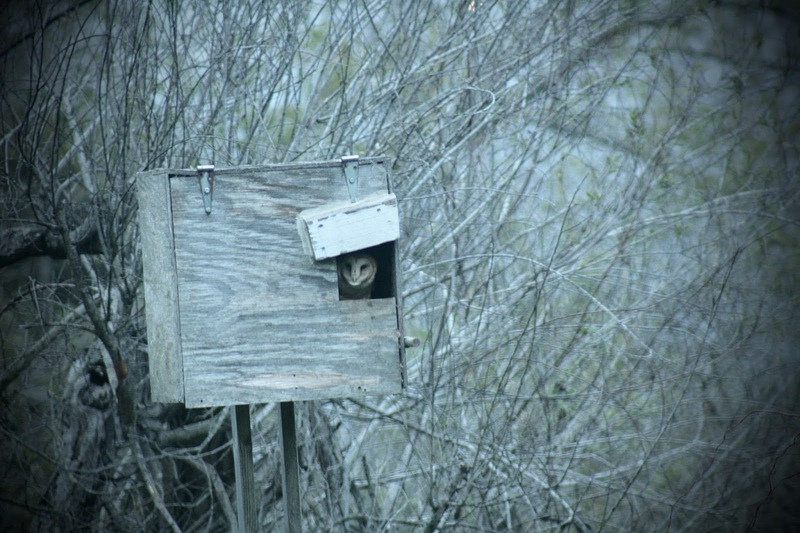 No indication of any feeding was happening, and Owly came and went from the box all evening. We assumed maybe something happened to the male Owl and they weren't getting any food dropped off and Owly was calling out, with no help coming! The next evening, we watched out our bedroom window as we had grown accustomed to doing, hoping to hear the babies once again. 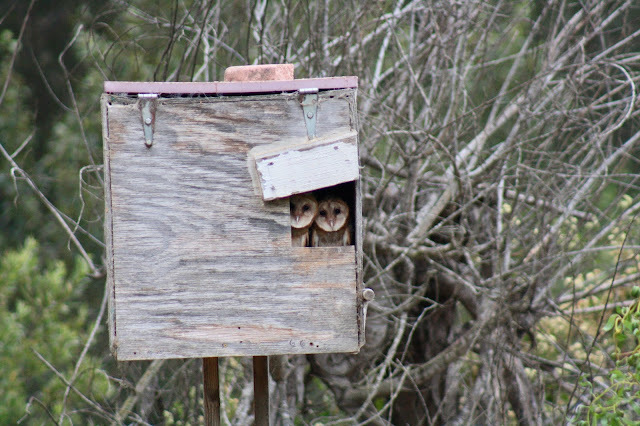 But this time we saw the pair, Mom and Dad, flying around the box. 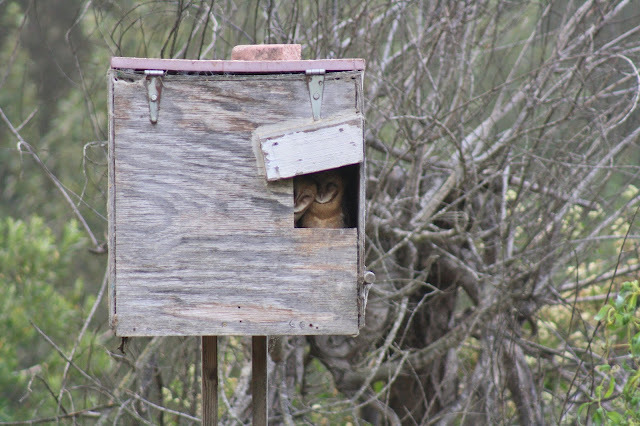 Owly went into the box again and this time she sat at the door looking out, crying over and over. Her mate flew to a nearby branch and perched silently. We watched, waiting for him to dive down and get food for Owly and her chicks. But he just sat there - still and quiet while Owly bellowed and sobbed at the door. We knew then...her babies were dead. Owly continued to cry at the door for hours, while her partner sat patiently on the branch nearby, giving her occasional calls letting her know he was there with support and compassion and love. The next day, Steve peeked into the owl box, and opened it up, and sure enough, three owlets were laying dead in each corner. No indication of starvation. We cleaned out the box, and said our goodbyes to these beautiful creatures who were just starting to get their real feathers - who were well taken care of by mom and dad, and who were the innocent bystanders of a cruel natural world. 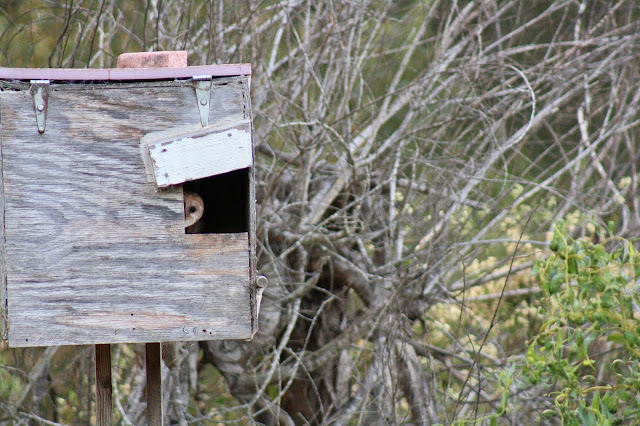 That very night, a new pair moved in, and we realized in that moment, that these very owls took serious and violent measures to claim their territory. It's been a couple of weeks with the new mates now, and we are having a hard time hearing their calls without feeling sad and mad about what they did to the owl family that we grew to love. But, we know there are new eggs that are nearly ready to hatch, so we are eagerly awaiting the sounds of new baby owlets chirping for food and doing their best to learn how to survive in this unrelenting and precarious barn owl life. Palm Paradise 2009-2017 from Jaime Dwight on Vimeo. I smiled all day today. Steve rubbed my back and made me delicious coffee. I woke up wondering if my mom thought it was neat having me as a Christmas gift, then she texted me "Happy Birthday to my best Christmas present ever"
The best music came on the radio on the drive to work. The leaves on the trees looked extra bright yellow. I only worked half day. I got sweet birthday messages from my best friends and relatives. I got pampered getting a haircut by my friend, sipping on a cappuccino. I bought myself earrings at the cutest local maker shop. I talked to my mom and my dad and got the CUTEST voicemail from my grandpa that I will save forever. Did I say it rained!!?!?! I got a free Starbucks birthday coffee. I went grocery shopping at my favorite store. I made dinner while Steve played guitar. And now chocolate, tea, and a Fred Astaire movie. And tomorrow we leave for a peaceful, relaxing, calm holiday getaway to Big Sur! WOOT! 35 is off to a great start!!!! 2016 was a tough year and I was tempted to skip my yearly video. But then, as I thought more about what made it a bad year, I adjusted my perspective and found beauty and happiness instead. My memories of Steve's ER visit turned into a thought about miracles and what it means to be a loving partner. Let's celebrate, honor, and protect our amazing opposable thumbs shall we?! 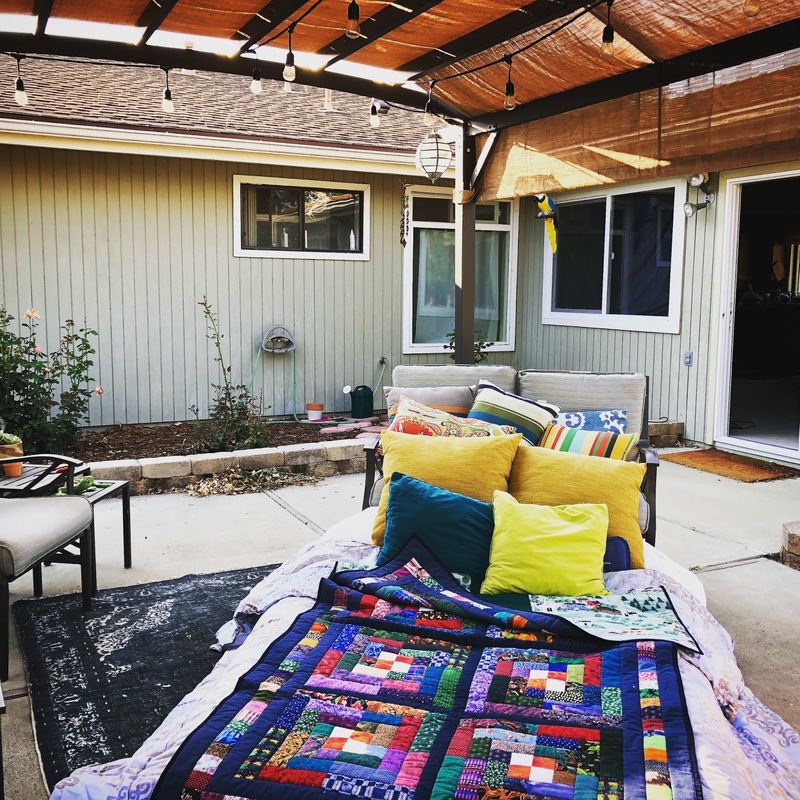 There's little happiness to be found in the memory of Steve's mom passing, but look what she left behind for us to enjoy...beautiful quilts, delicious recipes, my amazing sewing skills, to name a few. But, mostly she will always be here in her incredible son whose affection, patience, teamwork, resourcefulness, curiosity, and kindness are genetic gems, passed down from sweet Linda. Last week, Steve and I watched all of my yearly videos to date and I realized how grateful I am to myself for having captured and recorded where we have been. What a fun thing to be able to re-live those moments long forgotten in my memory. Looking back through my 2016 photos and videos reminded me of the many great travels, friends, family, and adventures that I was lucky enough to experience. This year I dressed up every Tuesday night in leg warmers and splatter paint spandex for 80's jazz class. I stayed in a pink house on a tree-lined street in the quaintest Illinois town. I ate to-die-for donuts in Seattle. I held my best friend's new baby. I jumped for joy to live music and smiled so much my face hurt. I saw So You Think You Can Dance LIVE and Jason Derulo blew me a kiss. I wore a ton of my favorite color, pink. I planted seedlings in my garden with my dad. I slid down a rock slide inside a cave in Montana. I found a new talent in fancy pie crusts. I drank beer on sunny patios with my mom. Steve and I explored a palm oasis in the middle of nowhere. I ate giant s'mores over a fire pit next to my best friends. In the end, 2016 was actually pretty great, and how can I deny myself (and you!) the forever memory of seeing the best band of all time, The Monkees, LIVE! 2016 Year in Review from Jaime Dwight on Vimeo.